Submitted by ken on May 30, 2007 - 2:17pm. 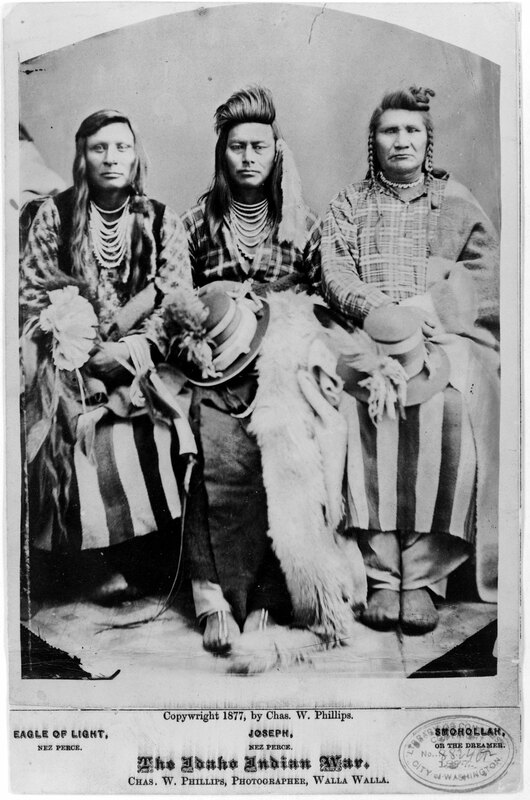 Caption identifies sitters as Eagle of Light, Nez Percé; Joseph, Nez Percé; and (Smohollah). However, Bill Gulick in Chief Joseph Country: Land of the Nez Percé, 1981, identifies sitters in this image as Billy Carter, Ollokot (Chief Joseph's brother) and Middle Bear. Photographed by Chas. W. Phillips, c 1877.